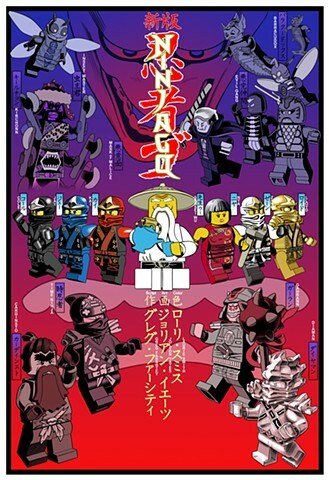 Jolyon Yates Illustrator - San Diego Ninjago poster with English captions. San Diego Ninjago poster with English captions. Same poster as before but with added English captions. Both of these were submitted but the final thing was a rearrangement of these elements with some added shadows.